The first time that I heard this song was quite a while ago. I was watching the second season of Sunday Best on Bet and the duo, along with KiKi, performed this song live on the show. I was blown away. First off, not only was this season the best season ever, but it showed that the youth, the young adults that listen to Hip Hop, also can be talented, use their gift to spread the word and honestly and boastfully give their life to God. It was the youth on the show this year that showed that you can have a gift, you can be hip, you can be positive, and more importantly, you can give your life to God. 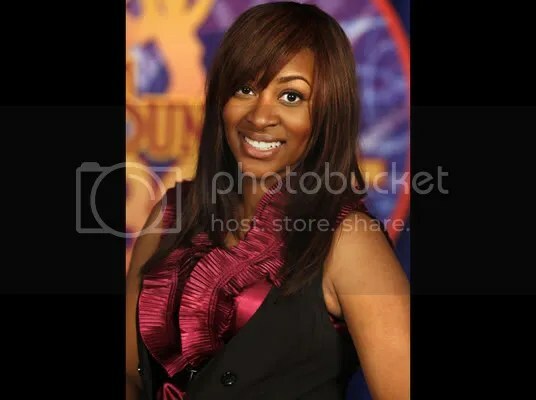 I honestly felt that Jessica Reedy (pictured here) was the better singer. Of course I am basing this from a Hip Hop perspective.
. But, Jessica brought a certain swagger and style to the table that was jazzy, soulful, cool, and Hip Hop. 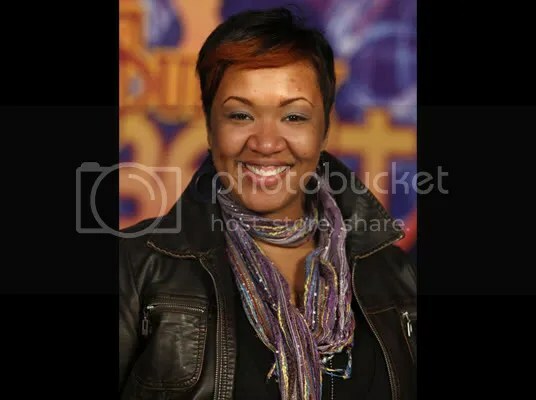 Of the judges, the legendary Bebe Winans and the duo of Mary Mary, Mary Mary is more connected to the youth. Yes that was an age biased remark…please get over it. Tina and Erica are a part of our generation, the generation of music, power, information and change… the Hip Hop Generation. They show it in their dress, you hear it in their talk and you most definitely can hear it in their music. “God in Me” should be one of the TOP 10 songs this year, but it will probably be buried in the sexual innuendos, swaggerific, and overly endulged club bangas that are all on the radio today. What this 1 song possesses is the truth. This song is the one real example of what Holy Hip Hop is all about. It has all of the elements: take a nice catchy or rhythmic beat that the youth can hear and like, next take a decent hook that is not too wordy but not too plain that it sounds corny, and finally throw in a message within a message. This song is perfect story telling from beginning to end, excellently written and 100% tight. For those of you that are against Holy Hip Hop and think that Rap Music has no place in the church…this song is being played on the radio after songs like Lil’ Wayne’s “Every Girl (I Wish I Could *ef Every Girl in the World) and Plies’s “Becky”. Seriously! If you missed that one, let me spell it out. There are no songs like this being played on what they call “secular” radio. I guess that’s why it’s secular? And should there be more? Let’s take a scenario of someone hearing the three songs in the order that I just mentioned, now take for an instance that out of 100 spins or radio plays, the song will just go by-the-way and no one will pay it any attention for 99 spins, but for that 1 important spin, someone who normally listens to the same station, the same songs, the same DJ rotation and “God In Me” came on and it means something to them. Someone hears the beat and as the hook comes they find themselves singing with the hook and realize that they are singing and dancing to a Christian song, after they just spit out, “I wish I could love every girl in the world”, and ” gimme that beckyyyyy”. It could be a life changing experience. As Christians, it’s that 1 spin that we shoot for. As Christians, you should not have issues with ANY, and I do mean ANY, means of the word of God potentially reaching out and touching someone. If you think your mission as a Christian is to just minister to the patrons of the church then the old saying does apply, Your Preaching to The Choir. It’s songs like these that get the youth interested in salvation and want to go to church. If most of you had your way, this song and songs like it would not be relevant and most certainly would not be on the radio. Fact is, it is extremely relevant and getting more and more popular. I admire Holy Hip Hop and the artist that are within that genre . Let it be known that I personally think that these artist deserve more honor and respect than mainstream Hip Hop and Rap Artist because quite honestly they do not get the checks that the big artist like Lil’ Wayne, Plies, and Kanye West do, they do not tour the same venues that the Beyonce, Jay-Z, Mary J. Blige, and Soulja Boy do, they don’t even sell a quarter of the CDs as Common, Mos Def, Jill Scott, and Drake. Nope, they do what they do simply for the love of music, Hip Hop, self and God…Now That’s Hip Hop! *I forgot to mention that Kiki is on point with the feature, again, another younger Hip Hop generation child…One time for the feature and T-Pain on the production!